Parts of more than 1400 Tigers have been seized across Asia in the past 13 years, according to TRAFFIC’s latest analysis of confiscations, which includes new data for 2010-2012. Bangkok, Thailand, 7th March 2013—Parts of more than 1400 Tigers have been seized across Asia in the past 13 years, according to TRAFFIC’s latest analysis of confiscations, which includes new data for 2010-2012. Reduced to Skin and Bones Revisited finds that parts of at least 1425 Tigers had been seized across all but one of the 13 Tiger range countries between 2000 and 2012. For Cambodia alone, no seizures were recorded at all during the period. Although it is not yet possible to show a definite trend, the analysis provides clear evidence that illegal trade in Tigers, their parts and products, persists as a major conservation concern, says TRAFFIC. 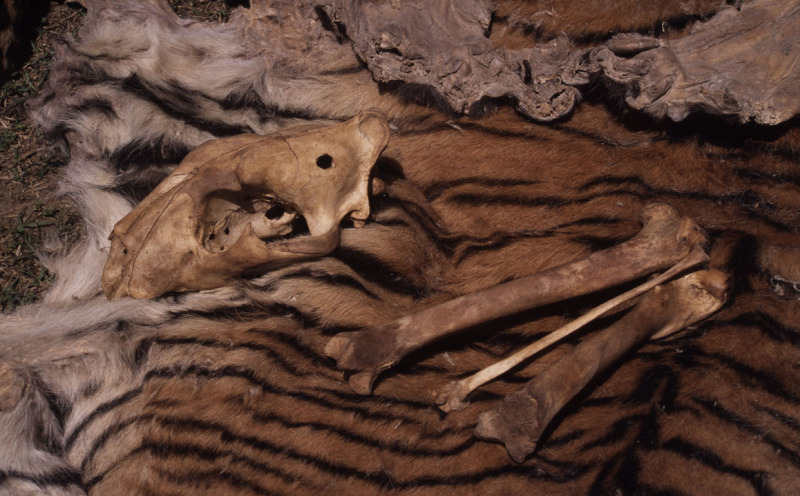 A total of 654 seizures of Tiger parts ranging from skin to bones, to teeth, claws and skulls took place during this period, an average of 110 Tigers killed for trade per year or just over two per week. 89% of seizures occur outside protected areas, emphasizing the importance of anti-trafficking actions to disrupt trade chains and prevent incursions into Tiger habitat. The benefits of such analysis to enhance law enforcement efforts to protect Tigers are obvious. 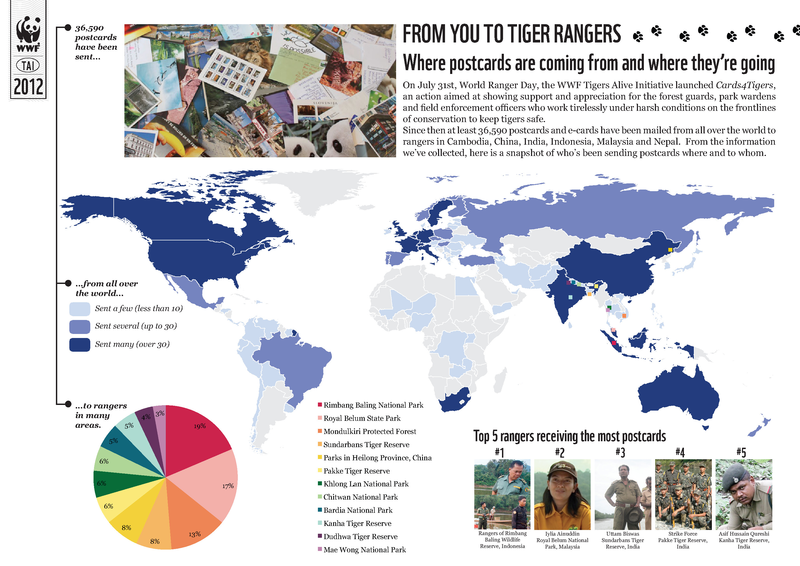 “If more robust information was routinely collected, analysed and shared between countries, real inroads could be made into targeting the smuggling syndicates behind Tiger trafficking,” said Natalia Pervushina, Tiger Trade Programme Leader for TRAFFIC and WWF. 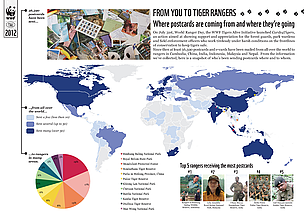 The report, a joint effort by TRAFFIC and the WWF Tigers Alive Initiative, was launched today at the Convention on International Trade in Endangered Species of Wild Fauna and Flora (CITES) meeting currently underway in Bangkok, Thailand. 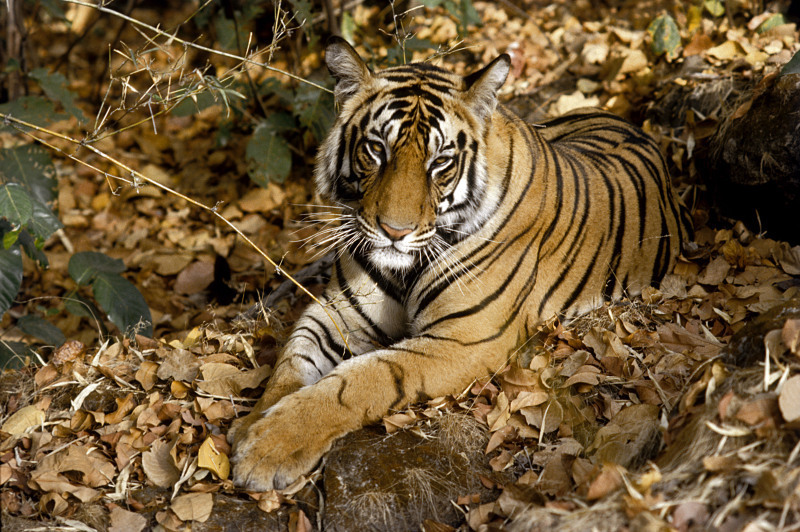 Later this week governments will debate efforts underway to protect Tigers and other Asian big cats. A significant finding in the updated analysis was increased recording of seizures involving live Tigers – 61 individuals were seized in the three-year period since the last full CITES meeting took place in 2010, representing 50% of overall numbers (123) recorded since 2000. Thailand was the most significant location for interdiction of live Tiger trade (30 Tigers), followed by Lao PDR (11) and Indonesia (9) and Viet Nam (4). 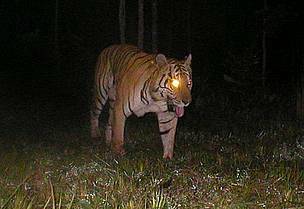 “Given the low population estimates for wild tigers in Thailand, Lao PDR and Viet Nam, combined with the presence of captive Tiger facilities within these three countries, there are serious questions as to the source of these live Tigers in trade,” said Nick Cox, Species Programme Manager for WWF-Greater Mekong. Of the 13 Tiger range countries (Bangladesh, Bhutan, Cambodia, China, India, Indonesia, Lao PDR, Malaysia, Myanmar, Nepal, Russia, Thailand, Viet Nam), only India had kept sufficiently detailed seizure records to allow meaningful analysis to identify the ‘hotspots’ where Tiger trade was taking place. Based on the information from India, five ‘hotspot’ locations were identified, including Delhi, while the other four were close to protected areas in different parts of the country (Uttar Pradesh, central India, West Bengal (Sundarbans) and the southern India landscape of the Western Ghats). WWF and TRAFFIC are urging countries engaged in the Global Tiger Recovery Program to develop a harmonized process for reporting to the GTRP that will also fulfil the requirements of CITES with respect to Tigers. 1 Russia also submitted a report, but not in the appropriate format. 2 CITES Resolution 12.5 (Rev. 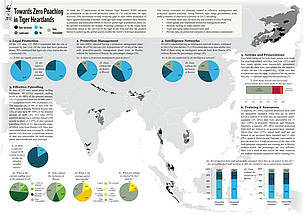 CoP15) on the Conservation of and trade in Tigers and other Appendix-I Asian big cat species. Wild tiger captured on camera-trap in Mondulkiri Protected Forest, Eastern Plains Landscape of Cambodia. Tiger (panthera tigris) lying on dried leaves, India.